This past July, a successful restaurant owner named Kevin Blair (Hells Kitchen and HK on the Bay) filled out a contact submission form on my website. His message stated that he was buying a restaurant that needed a new identity. 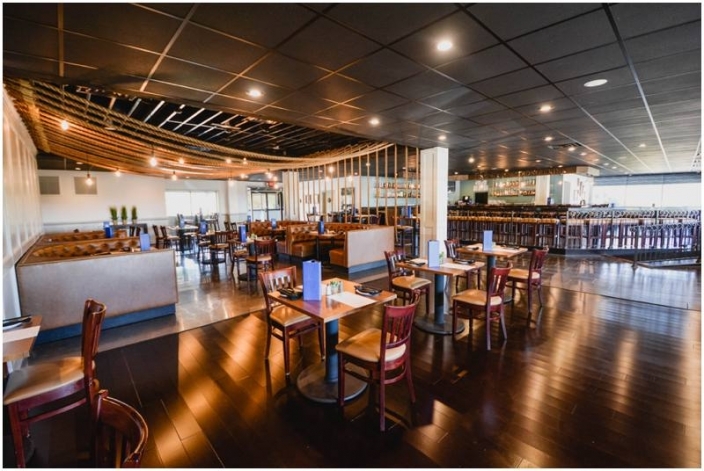 He planned to transform Bridges in Carrollton and re-do the restaurant’s interior design to turn it into The Virginia Company-a restaurant that would offer great food, great staff, and a welcoming environment at an affordable price. Kevin was looking for a designer to help him hone in on what the space should become. Ummm hiiii, pick me, pick me!! Whenever I get an e-mail with the headline “Contact Submission,” I get butterflies in my stomach. I get excited that the person behind the e-mail actually took the time to look at my website–not only look, but they took that extra step because they were interested enough to want to talk to me. I have been so incredibly lucky to work with all kinds of clients and I can tell you that each and every opportunity that comes my way still feels like a blessing…a new beginning that immediately gets my creativity flowing. And flow it did…because my initial walkthrough showed a restaurant that needed work but wasn’t completely hopeless. The space was very dark (the red lights didn’t help much) and mirrored and even had a diamond plate room. Needless to say, we had to come up with something different. For the new space, Kevin wanted something that would reflect the brand-which began with a logo his wife Jessica created. So after a few meetings, we decided to go nautical industrial…like the inside of an old sailing vessel. Things began moving quickly once contractor Scott Taylor of Taylor Construction got involved. To me, the space was divided into 3 main areas-the dining area in the center, the bar area to the right, and the private dining room in the back. Here are two before pictures of the dining area and dance floor in the center of the space. We transformed this area with new paint, hardwood floors over the carpet, reupholstered banquette seats and cornices, panelling, and a cool rope installation to add some interest and intimacy to the previous dance floor. Inside the front doors to the right is the bar and an additional seating area. This is what it looked like BEFORE. We reupholstered the banquette seats and cornices (Youngs Upholstery), added a distressed wood “soffit” over the bar, installed pendant lights, got rid of the mirrors, and added some industrial shelving behind the bar (VR Edwards Sheet Metal). Here is what the space looks like now. Towards the back of the space, we added windows and opened up an existing all-weather room to create a deck where people could eat outside. I neglected to get any pictures of this area–so that will be updated in the future!! Tucked off in the back corner is a private room that was previously a pool room completely decked out with mirrors, diamond plate walls and furniture, and tool boxes. Here is the before picture that frankly doesn’t do it the injustice it deserves. This space is now a dining room that is available to be rented out for private parties and functions. We added a custom designed live edge table with metal geometric legs, chandeliers, paneling, bar shelving, three cocktail tables, and an AV system for presentations. Here are a few more details from the space. I love the way this restaurant turned out and I can’t wait to eat there!! 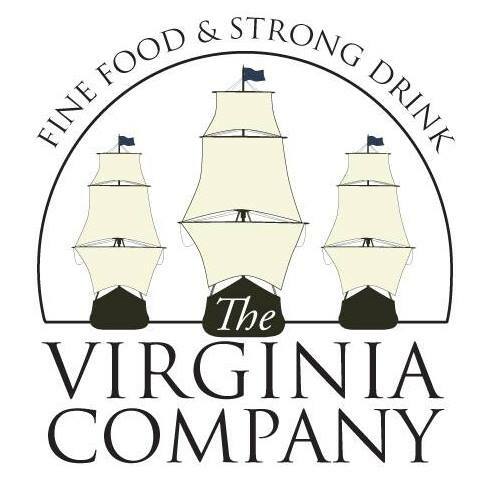 The Virginia Company opens Monday the 14th to the public so be sure to make your reservation NOW. Thanks for the opportunity Kevin!